For decades, health advocates have touted the benefits of vitamins. And it’s a concept that our busy society can easily get behind: Just take a few tablets each day to ward off disease and improve your health. 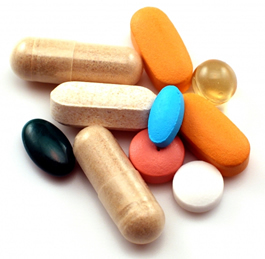 But for many specific medical conditions, the evidence has shown that vitamin supplements simply don’t make a difference. Last summer, we wrote about evidence which showed that the risk of death increased when older women used a daily multivitamin, and that vitamin E did not decrease the risk of prostrate cancer. This year, there are three new systematic reviews about vitamins and their ability to ward off disease. The first examines whether vitamins C and E, taken together, were helpful in preventing asthma attacks for people with asthma. Reviewers found five studies which include more than 200 participants. The review found no benefit for asthma patients who took the vitamins, but researchers concluded there was not enough quality evidence to make a definitive conclusion. Another review asked whether vitamin D supplements help to prevent cancer. The analysis included 18 trials with more than 50,000 participants in total. The analysis did not find firm evidence that vitamin D decreases or increases cancer occurrence. There was a small decline in mortality and cancer-related mortality among participants who took the vitamins compared to the control groups, but researchers concluded those results could be due to random errors in the data. Finally, a third review looked at whether zinc supplements help to prevent ear infections, especially in children. The analysis included 10 studies with more than 6,800 participants in total. The data provided no convincing evidence that zinc prevents ear infections in healthy children. The take-home message: For people whose diets are lacking in nutrients, vitamins may be useful. But among the general population, they seem to do little to prevent asthma, cancer and ear infections.